Evelyn the robot is back! This time she's brought her friends Arm, Atlas, Roberto and Sassbot. Sprint (NYSE: S) introduced the world to Evelyn last February in its incredibly popular Super Bowl ad. She analyzed the data and showed everyone why Sprint is the logical choice. 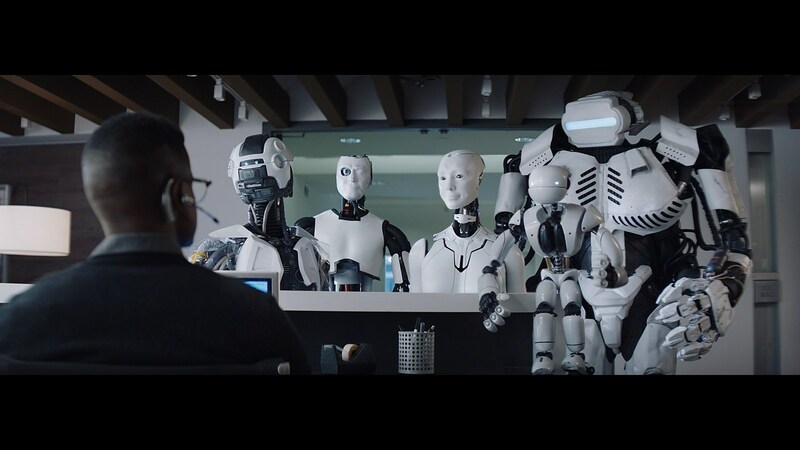 Now Evelyn and her robot friends are on a super intelligent mission to learn more, share their findings, and help consumers save money in Sprint's latest creative campaign. The 60-second launch spot, titled "Time to Go," begins airing today in movie theaters, online and this weekend on ESPN and TNT during NBA Conference Finals. In the spot, Evelyn continues to evolve but still can't comprehend why some humans choose to pay so much more with Verizon when all networks are great and they could be saving with Sprint. She feels this is illogical and together with her robot friends, they decide to visit Sprint's headquarters to learn more and help spread the word. "Everyone deserves a great network and the best price for Unlimited, which is exactly what Sprint offers," said Roger Solé, Sprint chief marketing officer. "We appreciate that the robots embark on a crusade to help humans understand that Sprint is the logical choice." Also launching today is a series of social videos called "Road Trip" that highlight Evelyn and her friends' adventure from the lab to Sprint HQ. "Who better to explain Sprint's clear and logical advantage than the one group incapable of hyperbole or category apathy: super intelligent robots that only deal in facts?" asks David Droga, creative chairman and founder of Droga5. The commercials were created in collaboration with creative agency Droga5.